To commemorate the war dead here in the UK we have the symbol of the poppy, a flower common on the killing fields of France. 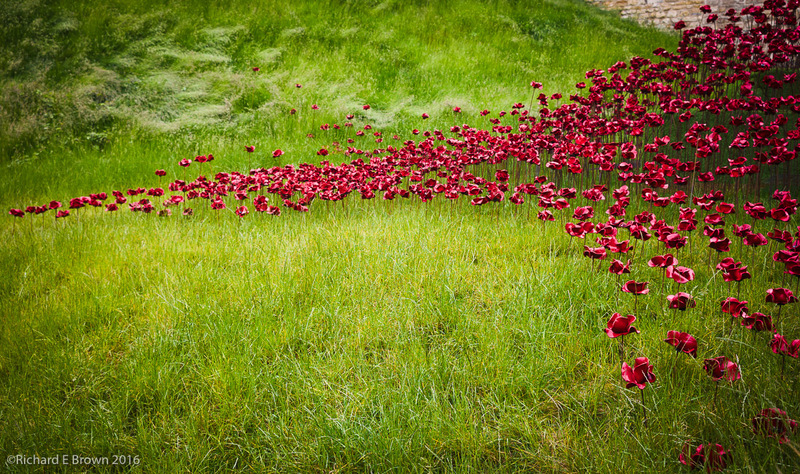 Last year there was a wonderful art installation of hand made pottery poppies at the Tower of London. This year the installation has been split up and part of it is now setup in Lincoln Castle and called ‘The Wave’. Today to commemorate the 100th anniversary of the battle of the Somme we had a ceremony to remember the war dead on all sides here in the Castle and at the Cathedral.